The present blog is only the adaptation of another one I wrote before. Unfortunately, changing consulting jobs gives farewell to a SCN account to welcome a new one at the new assignment. 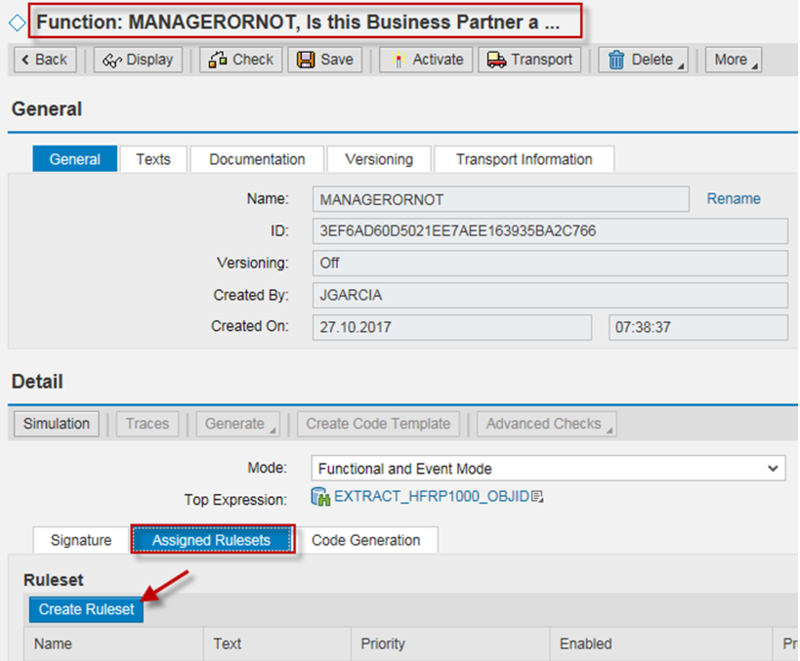 With that and not having a possibility that SAP consolidates content created by the same individual, or having access to old SCN accounts, do not allow to easily update blogs. Hopefully one day … one day. 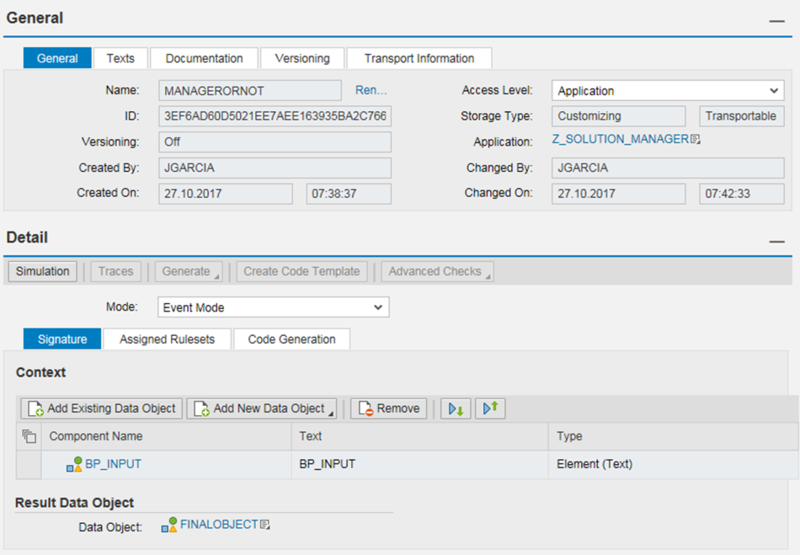 Functional and technical SAP users sometimes do not have a SAP Developer Key, which refrain them from having access to write basic ABAP code to explore particular scenarios, themselves. BRFPlus is a tool still for which there is no needed a SAP Developer Key. 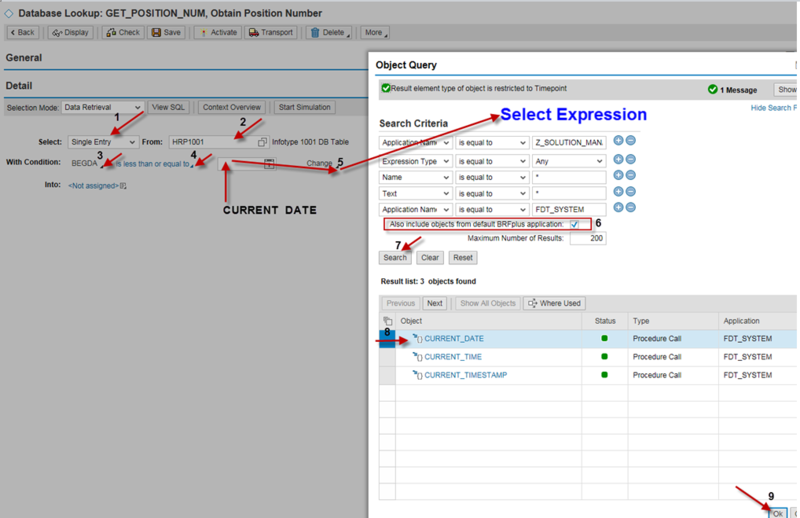 That fact provides some freedom to us, non-SAP-Developers, who still have basic SQL or SAP Query experience. We want to confirm if an Employee (EE), who is also a Business Partner (BP), is a Manager of an Organizational Unit. 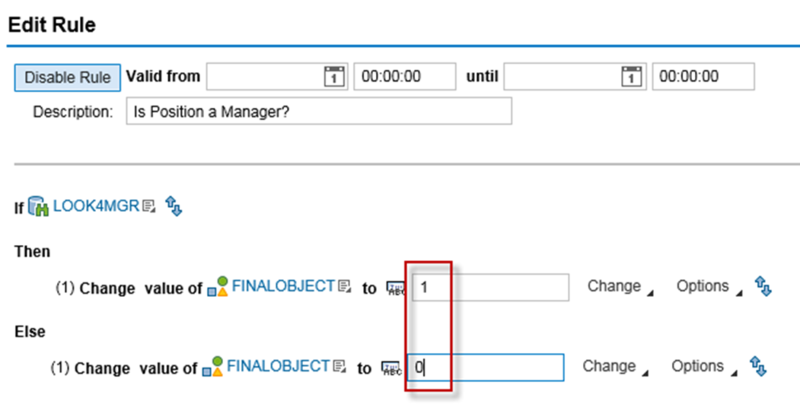 Using BRFPlus we will conclude with the use of DB lookups and a final Boolean variable if the EE entered is Manager (1) or not (0). 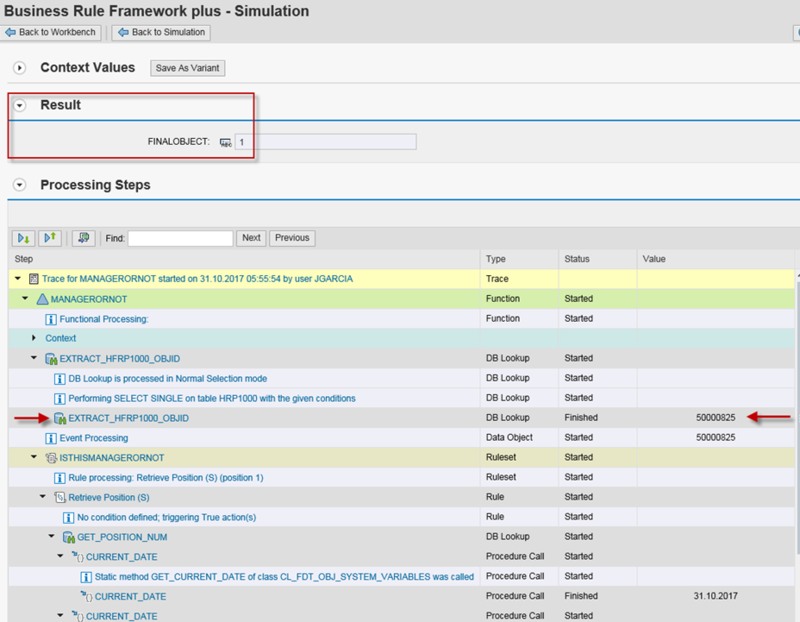 We will add the BRFPlus call within an ABAP program. Part 1, shows the HR piece of information. Part 2, how to create the BRF+ Function. 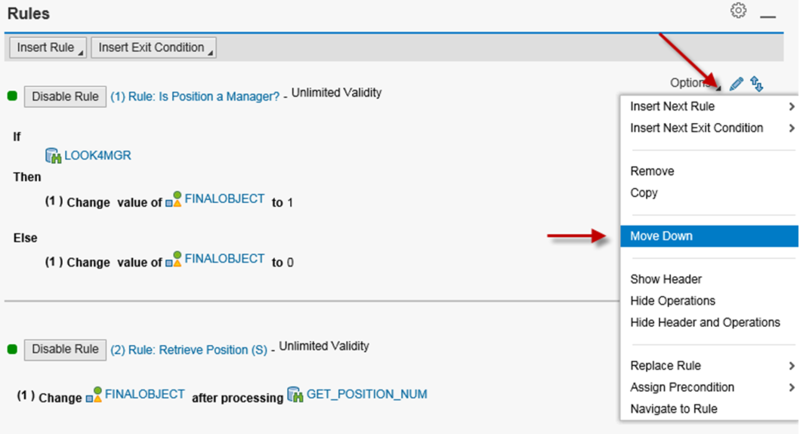 Part 3, how to test out and how to call the function in an ABAP program. 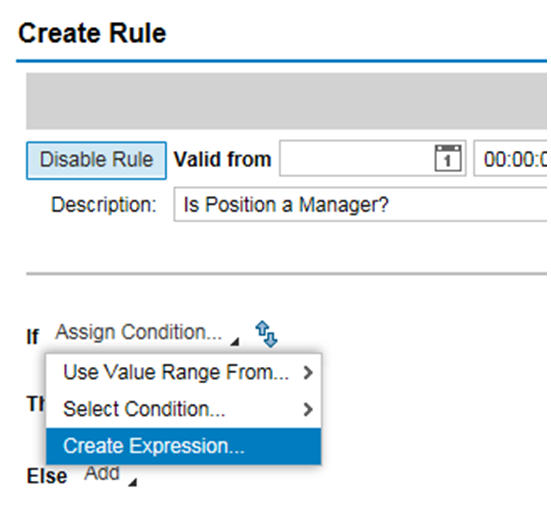 In SAP HR, a relationship A012 defines if an EE is Manager. 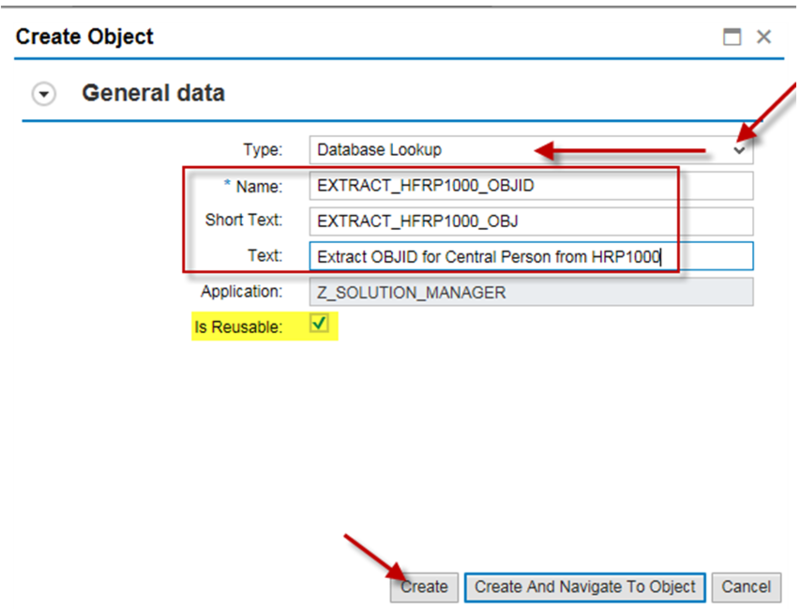 In HR in general, data reflected in the Org Structure and displayed via transactions like PPOMA_CRM, and is stored in tables HRP1000 and HRP1001, respectively. Let’s see with an example. 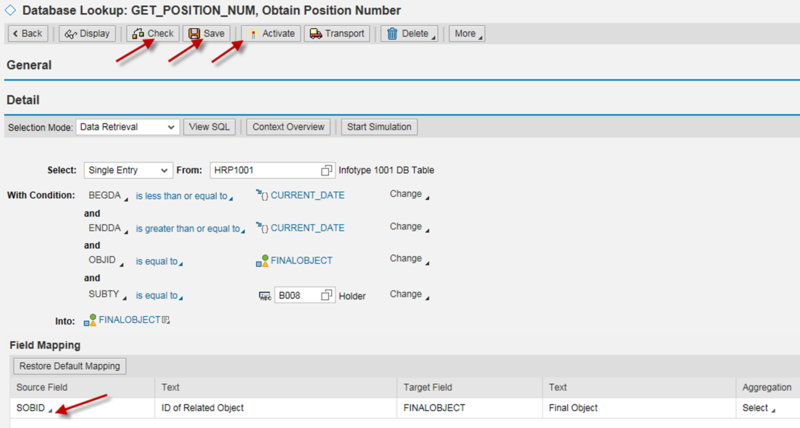 1.1 To retrieve the records we start with a BP number (BP 233), which is stored in field SHORT of table HRP1000. The entry found contains in field OBID the correspondent CP (Central Person) number associated to that BP. 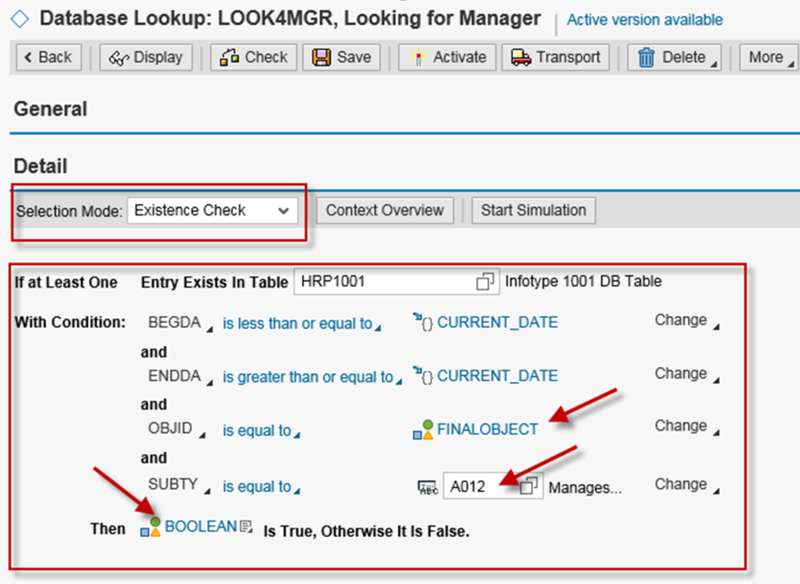 1.2 With that we can now search in table HRP1001 for a record which Object ID (OBJID) matches the one we retrieved in the step before. From the records found, we pick up the one with SCLAS = S (Position). From that record, we retrieve the content of field SOBID. That is the S (Position) the BP holds. 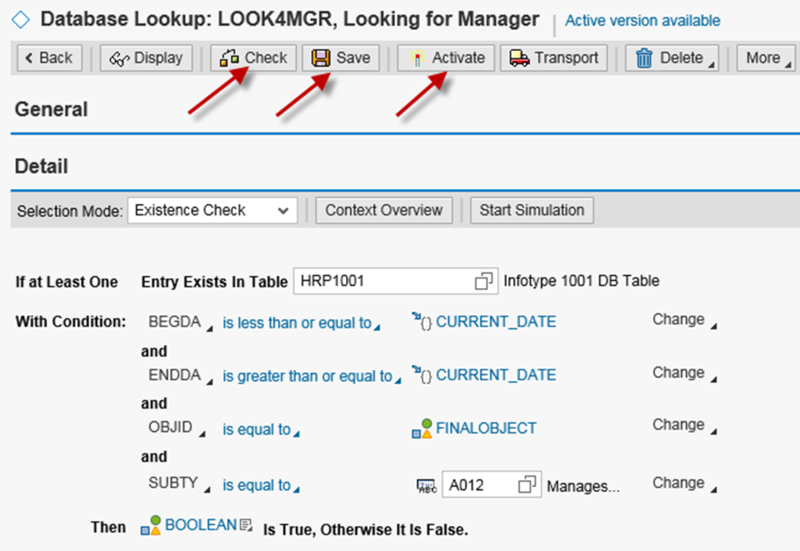 1.3 Once more we search in table HRP1001, where ObjectID = the SOBID entry found above. If among the records retrieved, there is an active entry (BEGDA and ENDA), with SUBTY = A012, we conclude that the S (Position) we have is Manager of the Org Unit, found in field SOBID. Note: In other words, we followed the path CP-S-O (Central Person to Position to Org. 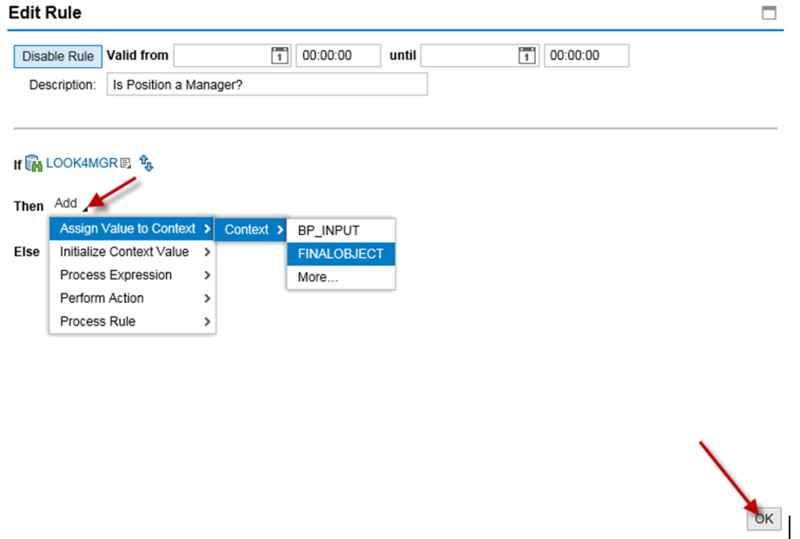 Unit), to get to know if a BP is Manager of an Org. Unit. 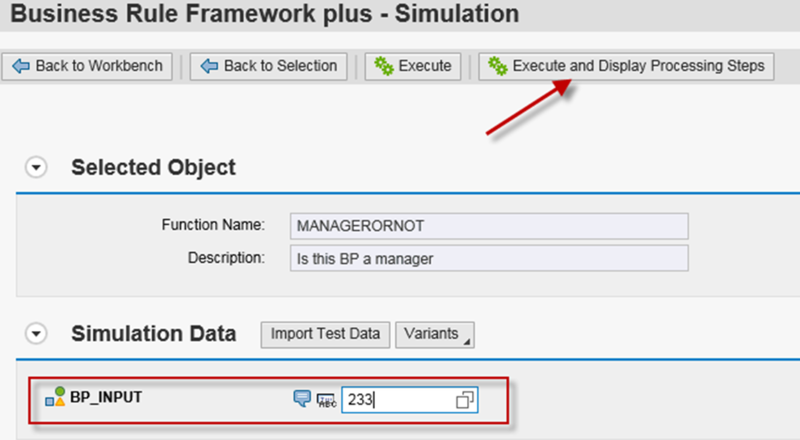 The BRFPlus function receives a BP number and provides an output in a Boolean variable confirming whether the entered BP is a Manager (1) or not (0). 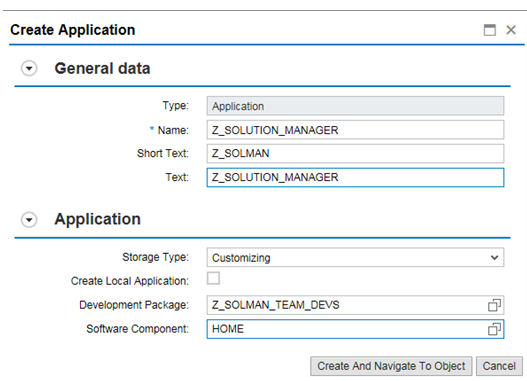 2.2 Create a container where all your BRFPlus developments will be stored. 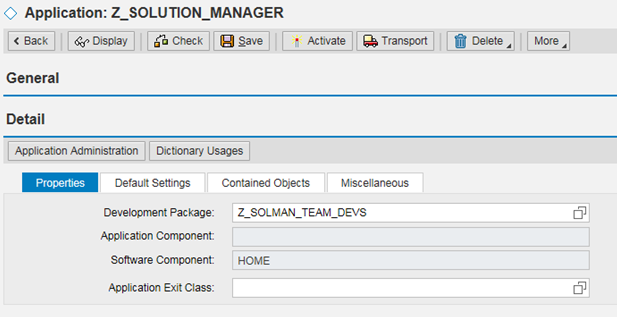 Provide some basic information, like package name and save and activate (always). With the cursor in the new folder, right click and create a function. 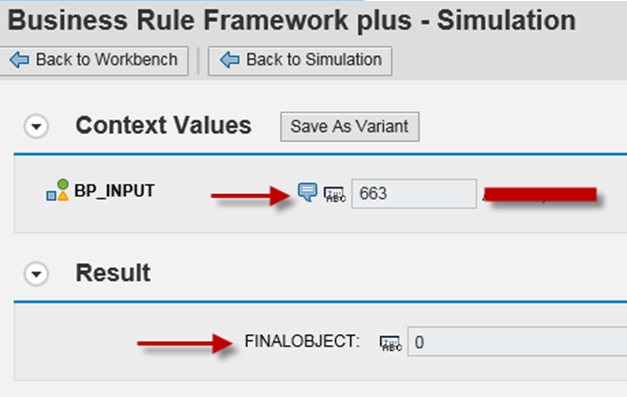 Note: Core objects in BRFPlus are functions. 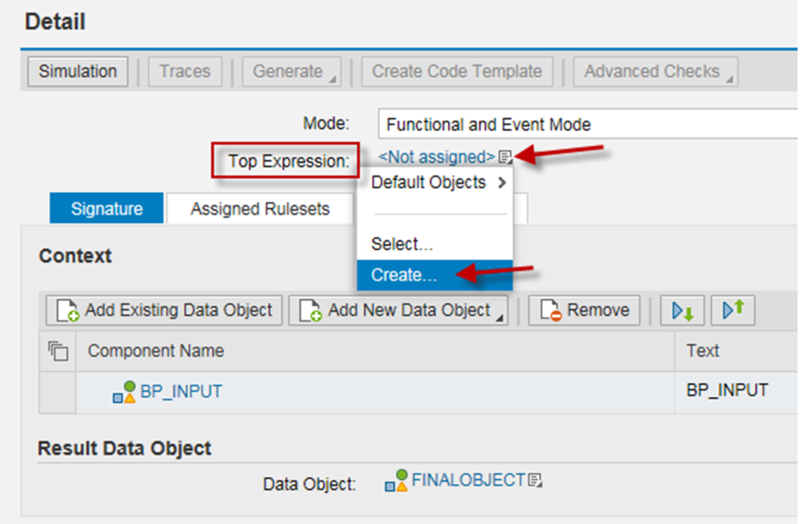 You can create many additional objects to support a function like rules, actions, data objects, expressions, etc., but the only elements that interact with the exterior (ABAP Programs, Services calls, etc. ), are Functions. 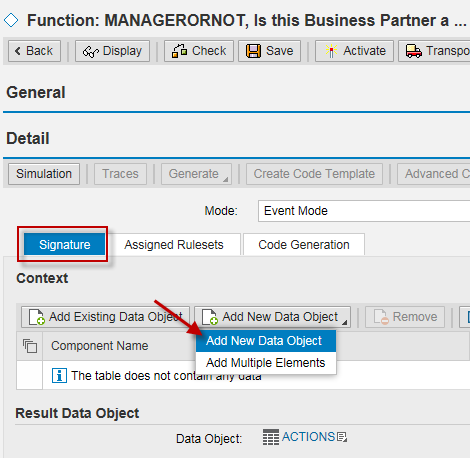 Select the Tab Signature and add the Import Parameter. Now add the Export Variable. Things should look like this, so far: A function with a input and output variables. 2.4 Data retrieval. 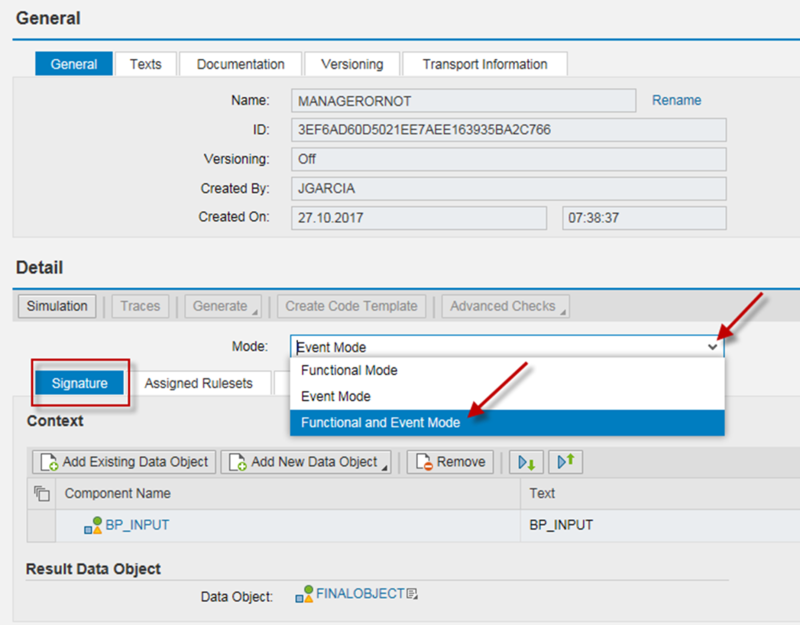 In the same tab Signatures, Select Mode > Function and Event Mode. The top expression that we are about to create is the gate we use to enter the HR tables. It is the first select statement. Making objects Reusable is a very handy and saves a lot of time in the future. We are not attaching all the screens, as there are many that question you if you want to save the parent object. Always answer yes to those questions. 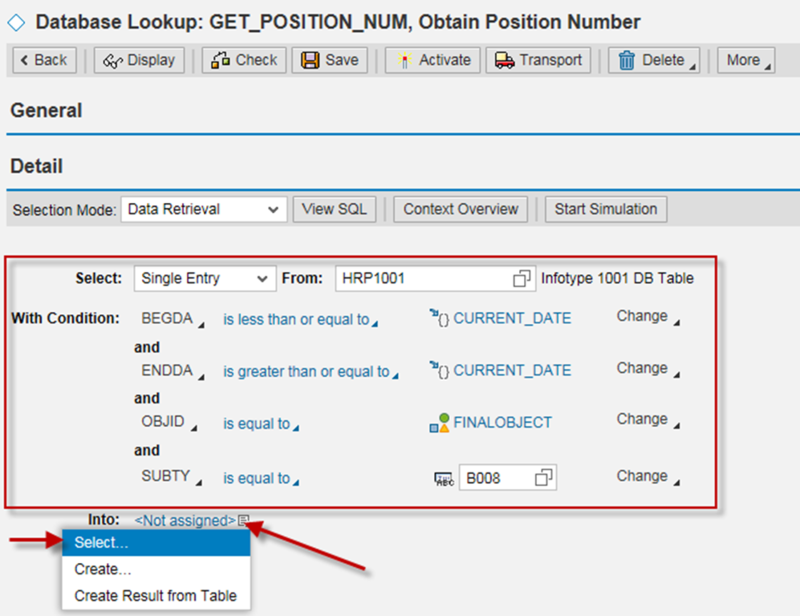 The key to populate most of the fields below is achieved by clicking the little triangles on the side of the field to search or pick the possible value that fits your needs. Keep in mind also the mapping you should enter almost every time. That is reflected at the bottom of the picture below. It is quite easy to forget about mapping. 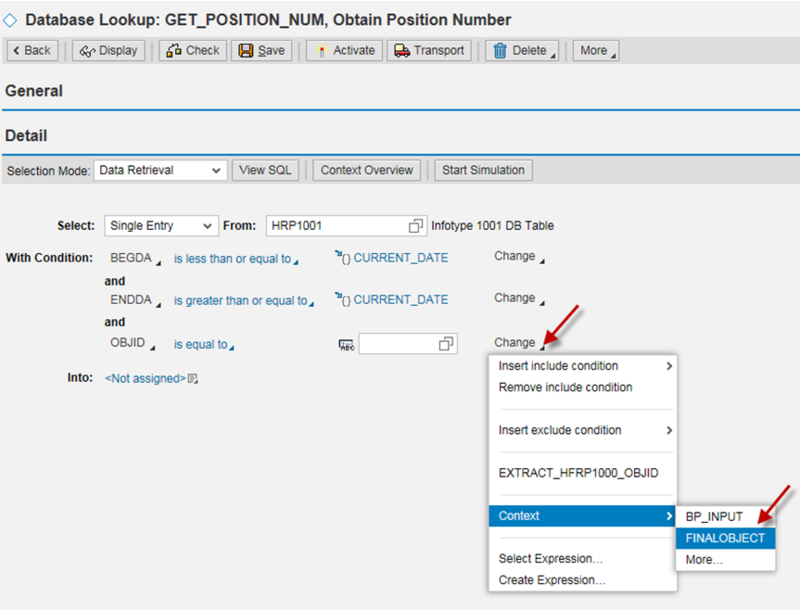 You always need to expand mapping if it is not displayed by default. Time to create the 1st data retrieval. Save your changes for now. The 1st type of the retrieval is completed. Press the back button of the object to continue. Now we create a Ruleset. After this, we will add two rules: one to retrieve the S (Position), and the other one to confirm that the S found is a Manager or Not. Note: This area is possible one of the trickiest pieces of BRF+. 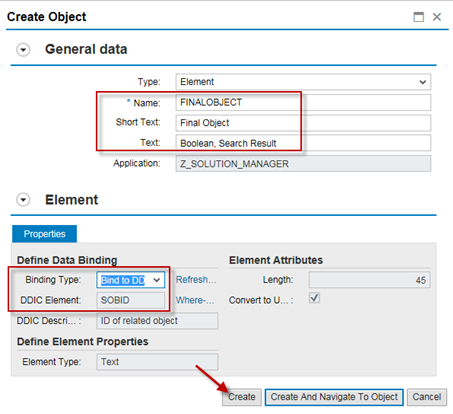 It is not straight forward how to create the select statements and a lot of test and trial may be required up until you are able to control the beast and know how to properly insert the correct SQLs statements. Just be patient when doing the work fo the first time. It will eventually click in. 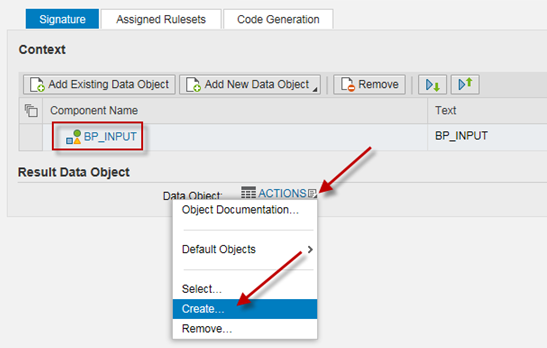 Click the Insert Rule button > Create. and so on and so forth .. Select from the available fields FINALOBJECT. 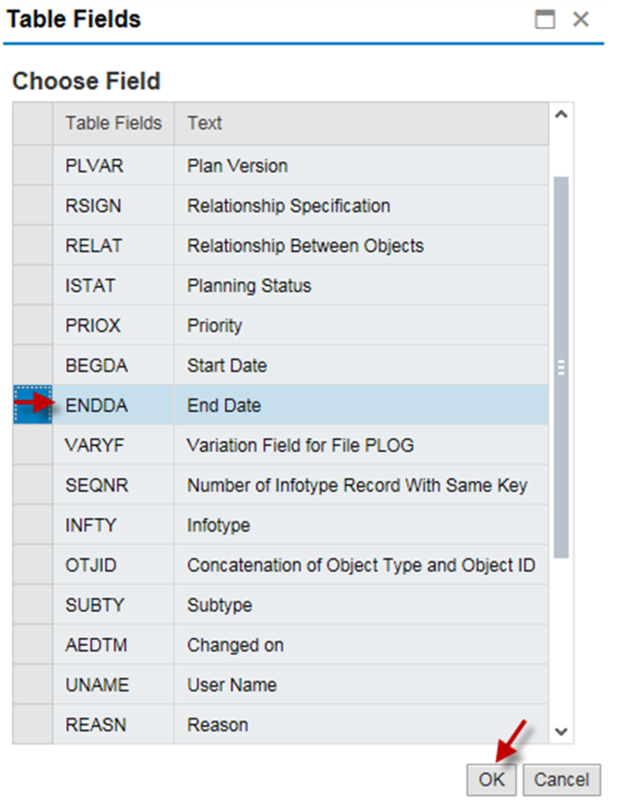 In Mapping assigned the select to Source Field SOBID, then Check, Save, and Activate. 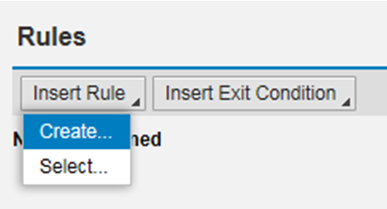 If you press the Back button you will see that the 1st rule is completed. Let’s finish the same way by Inserting the second rule. The screen will look like this for now. Click on LOOK4MGR. The processing is the same as before, so we only attach the final screen. We continue completing the SQL statements to complete the exercise and test the solution. 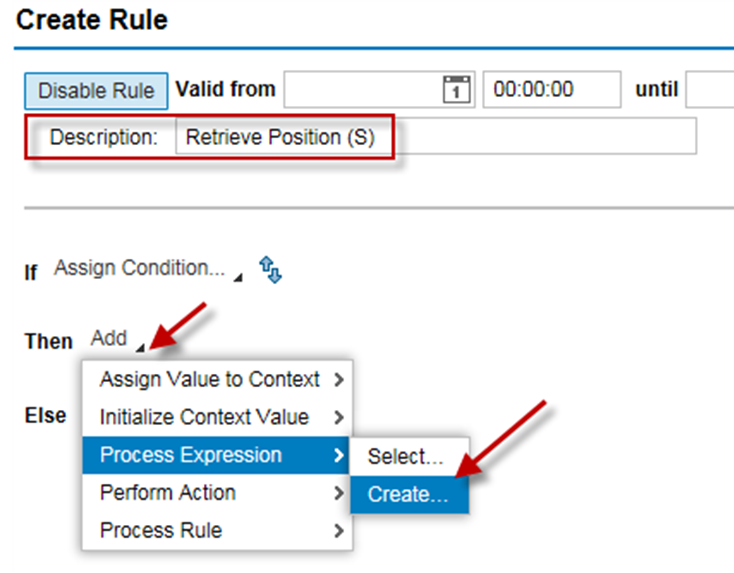 Now that the rules are in the right execution order, check, save, and activate. Remember to confirm any message to activate any depending or referenced objects. Your Function is ready for testing. Double-click on it and press the Simulation button. 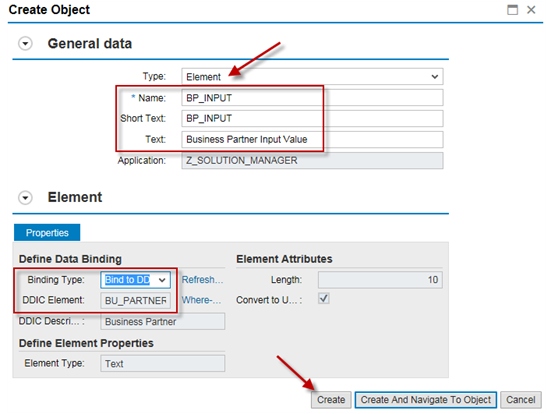 We will use the same BP we manually used at the beginning of this blog, so that we can confirm the intermediate steps all come up to extract the same data. 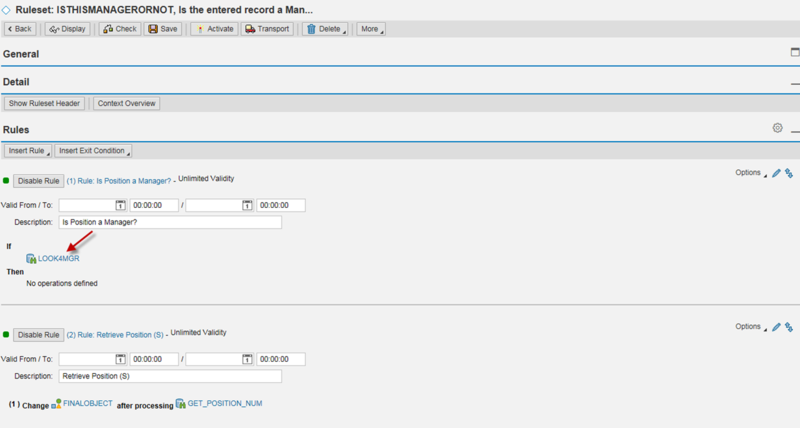 Note that you can also import data from an external file to test your function. The result shows that the entered BP is a Manager. The nice thing about the step by step simulation is that you can see what happened at each step, the intermediate results and evaluate if you need to fix something if the processing is broken somewhere between the begin and the end. 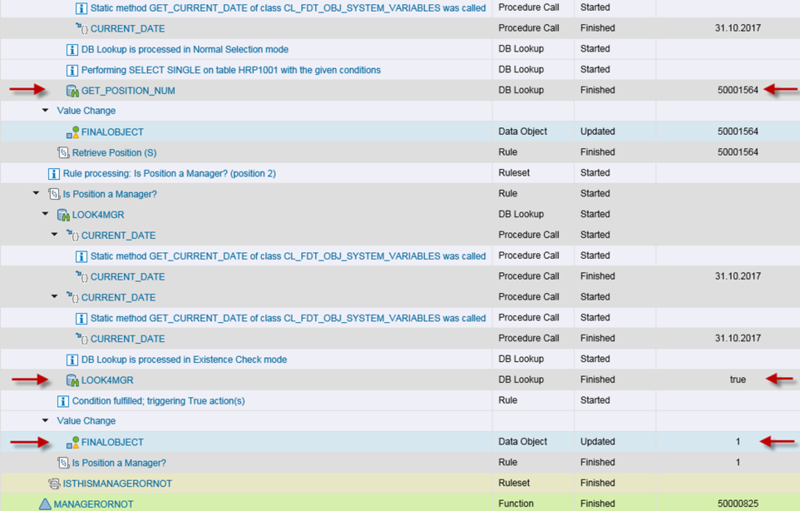 As you can confirm also via transaction PPOMA_CRM, the BP 233 is a Manager, so the function is correct. The little man with the hat represents a manager ob the object immediately above. 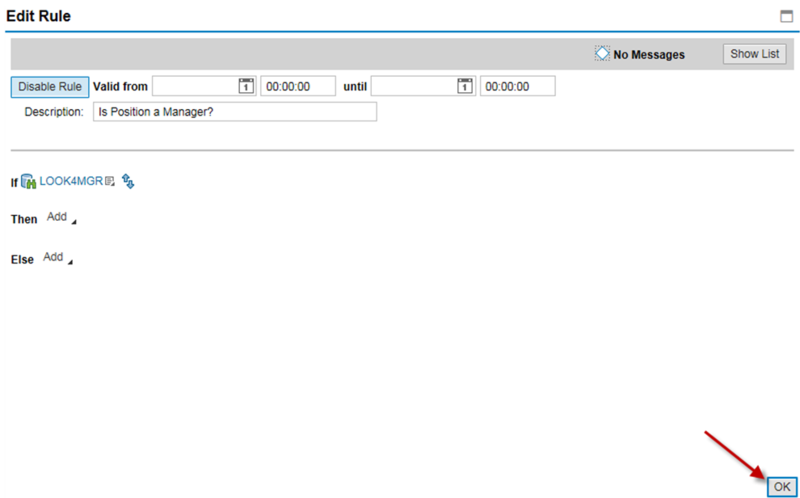 We can also quickly testing the function with BP 663, which is not a manager, so the result will be False. That BP is not a Manager. Part 3. How do I use the BRFPlus function externally? 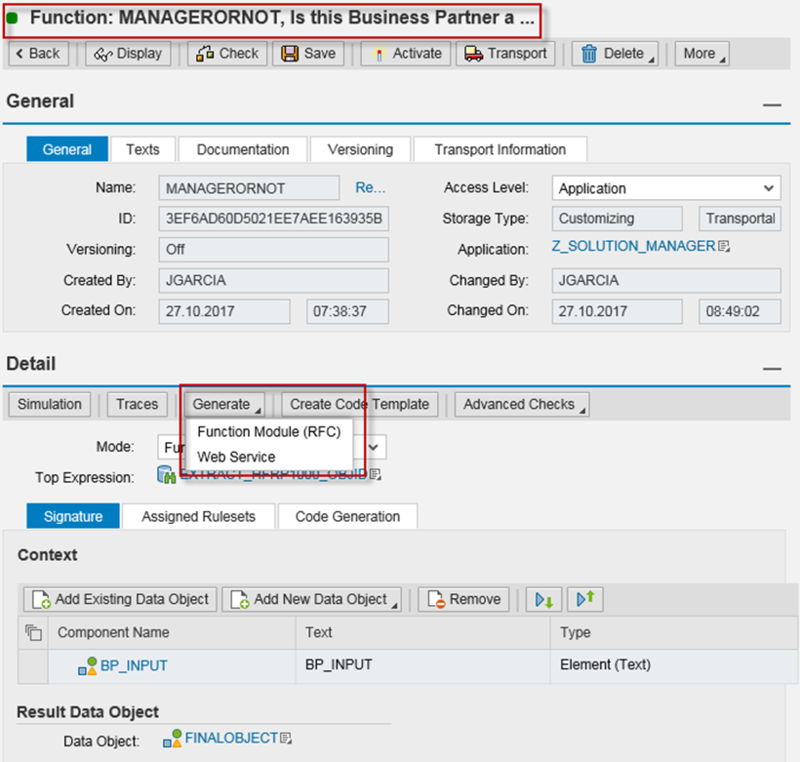 There are various uses, among the three most common: you can Generate a Function Module (RFC), a Web Service, or simply call the function from an ABAP Program. 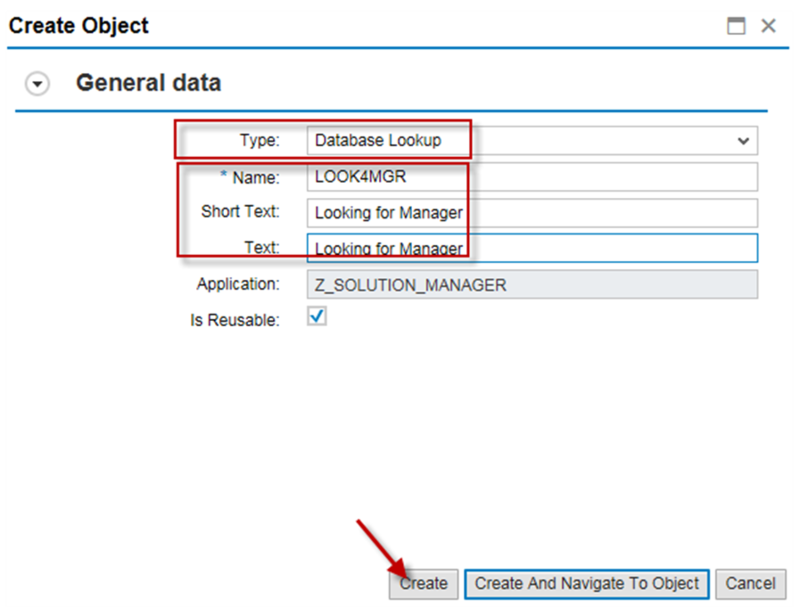 In order to use it in a program, by expanding the General section, if not expanded, you need to grab the ID, which is the piece to be used when called by ABAP. The BRFPlus unique identifier: 3EF6AD60D5021EE7AEE163935BA2C766. The BRFPlus Output variable: lv_ismanager type boolean. 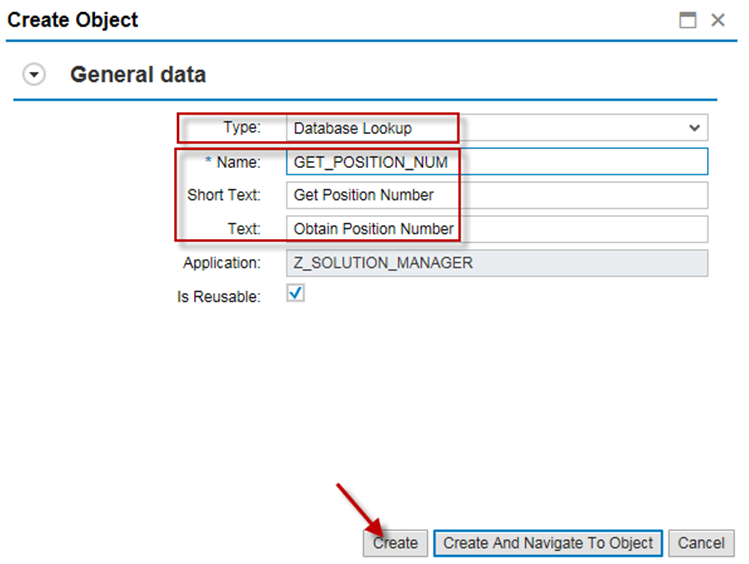 You will need to add the code below to your ABAP program. lx_fdt type ref to cx_fdt. lo_function = lo_factory->get_function( iv_id = ‘3EF6AD60D5021EE7AEE163935BA2C766‘ ). lo_context->set_value( iv_name = ‘BP_INPUT’ ia_value = lv_rfcrequester ). importing eo_result = lo_result ). 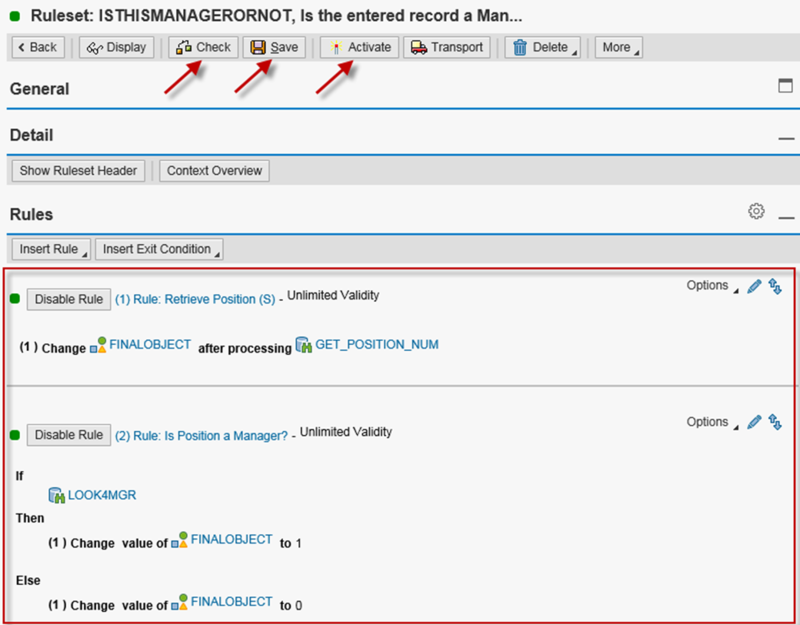 lo_result->get_value( importing ea_value = lv_ismanager ). 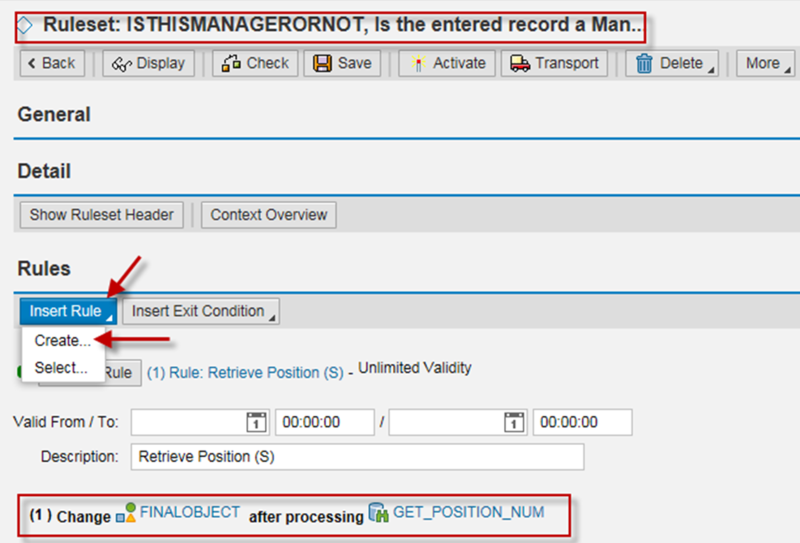 loop at lx_fdt->mt_message assigning <ls_message>. 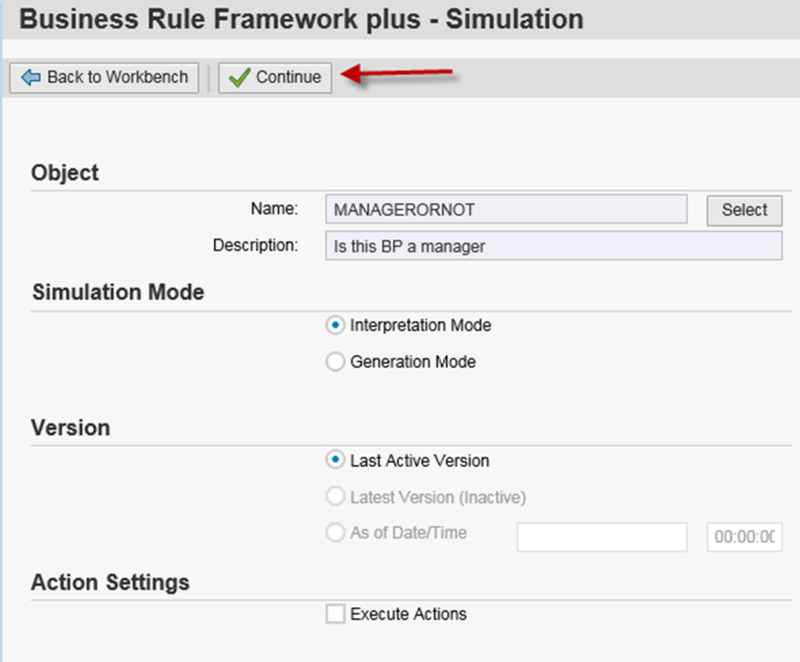 BRFPlus – Business Rule management for ABAP Applications. BRFPlus. There is this 1-2 days training in BRFplus you can get for free. Excellent material, well organized. There are 3 sessions that tell you how that works.